As Leonardo Da Vinci said, “Water is the driving force of all nature.” Without water, everything dies, including people. You have 3 tiny days that you can survive without consuming it. When you are out in the wilderness, you always need to have water with you, or a way to obtain water that is safe for drinking. Today we are going to discuss some survival skills: how to purify water. Sometimes, people run into some bad luck and find themselves lost in the wilderness without clean water. Hopefully they have packed a few essentials that will help them find, collect, and decontaminate water that is safe for drinking. If you are out in nature and don’t have any water on you, then the first thing that you need to do is find a water source. 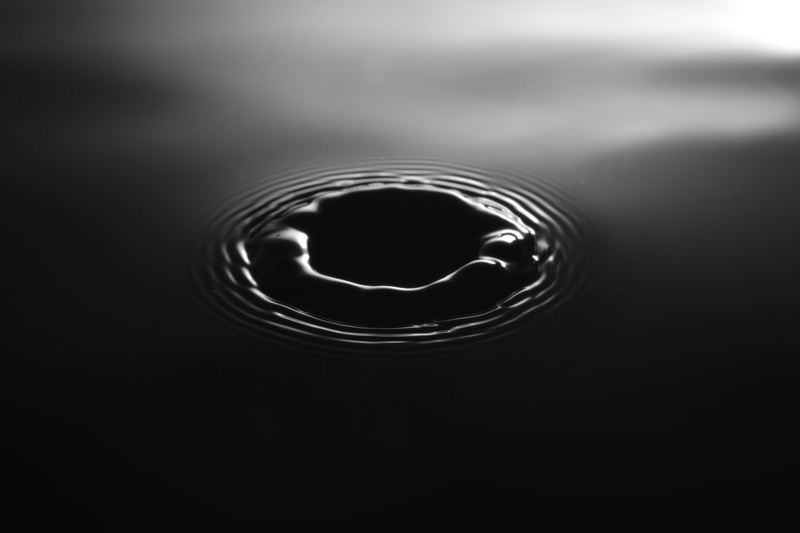 There are many ways to find water in some situations and very few ways to find water in other situations. Water can come from freshwater sources like lakes, rivers, streams, creeks, and so on. If you have a way to distill the water you can even use saltwater. Drinking water is also typically safe to drink straight from springs and underground water sources, even from inside tapped trees. 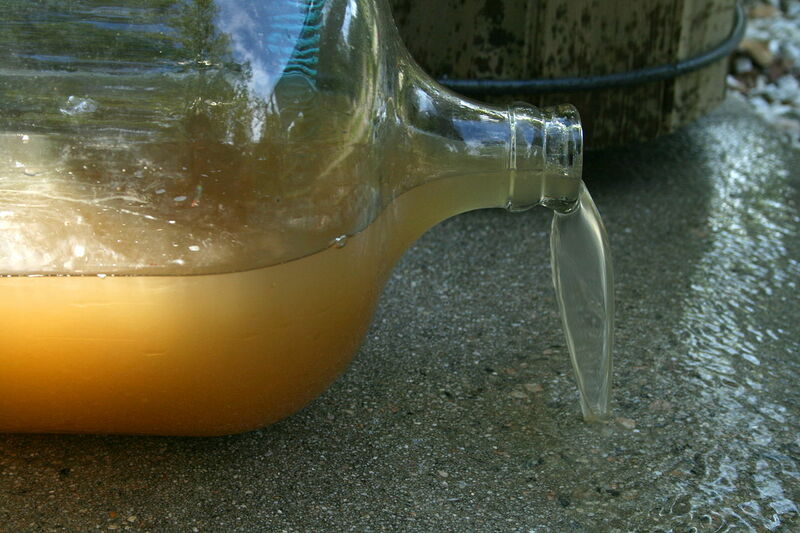 The majority of “found” water needs to be purified in some way, as it is considered dirty water. You can also find water by looking up. Precipitation is an excellent source of emergency water; think rain, snow, sleet, ice, and dew. If the rain isn’t falling through a forest canopy, it should be safe enough to drink without processing it. The same goes for melting snow and drinking it. Note: always melt snow, if possible, rather than eating it straight (especially in an emergency), because eating it straight will cause your body to burn more precious energy due to a drop in body temperature and the work your body has to do to melt the snow in your mouth. I think it’s important to talk about the risks of drinking water that hasn’t been treated, that way you can make an informed choice about water that you ingest, but choose not to treat. Many survival experts say to treat all water sources as “suspicious” and for good reason. Water-borne disease organisms are no joke. The water may look clear and cold, pouring off of a mountain, but what we don’t see are the billions of tiny organisms living in that water; a lot of them coming from human and animal feces (gross!). Most of the organisms are harmless to humans, but a few of them could make you extremely sick; E. Coli and Salmonella are two that you have probably heard about. There are a huge amount of other unsafe organisms lurking invisibly in supposedly clean water. One example is a rotting animal carcass could be upstream. The water pouring off that fresh mountain spring is filtering through the rotting animal and then reaching you looking fresh and cold and pure. Not something that anyone wants to drink without purifying it first! 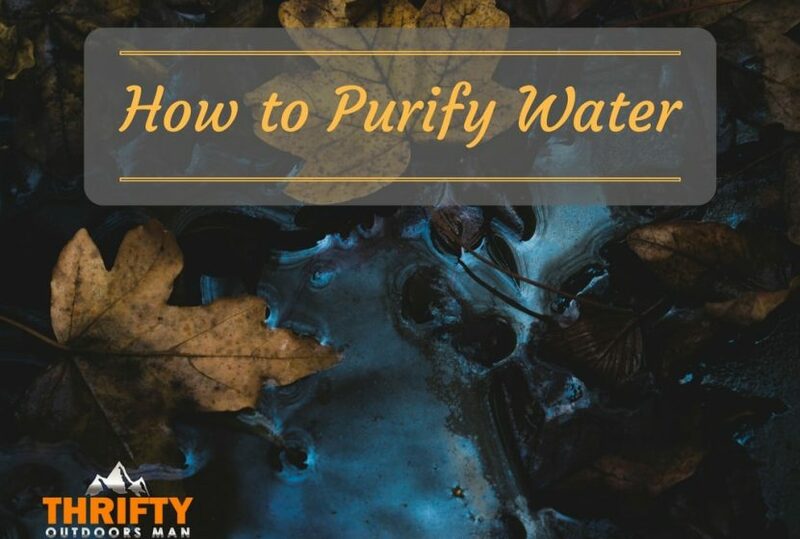 There are many ways to purify water, and we will share a few of them with you. But the best way to purify water and render it 100% safe for drinking is to boil it. Boiling water kills pathogenic bacteria, viruses, and protozoa. The water doesn’t even have to reach boiling point of 212 degrees to become safe for drinking, it just needs to boil; typically around 185 degrees. Most people don’t carry a thermometer around with them though, so the water reaches boiling point, which is perfectly fine. You don’t have to boil the water for a minute, or 5 minutes, or 10 minutes, even at higher elevations, it just needs to reach a boil and you are good to go. 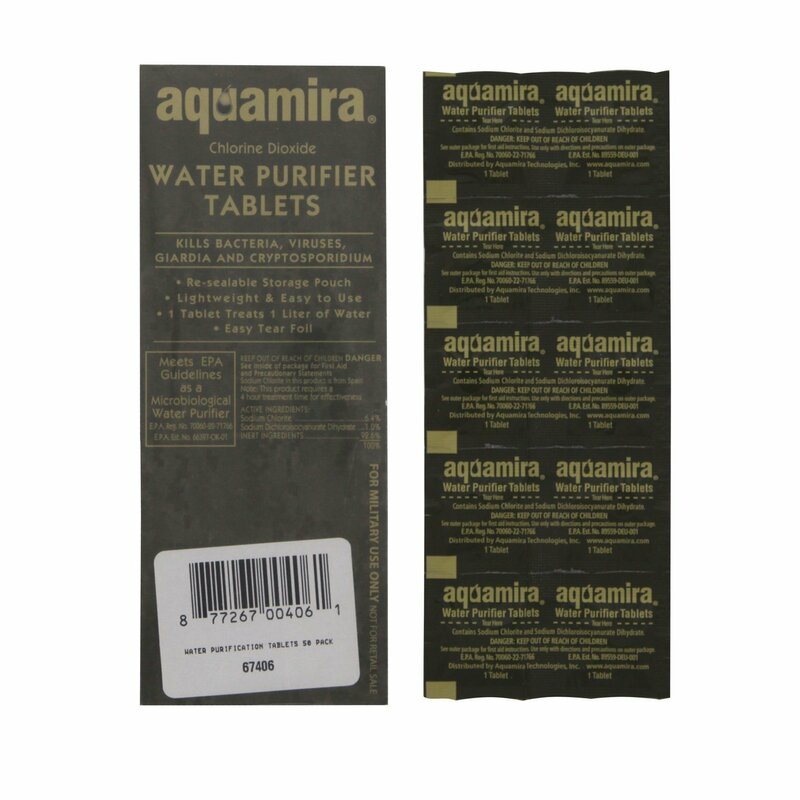 Water purifying tablets like these are an option for emergency situations. They take quite awhile to work (4 hours! ), so having more than one water bottle could be useful so that one can be “working” while the other is ready to drink. Tablets won’t remove sediment, so a filter in conjunction with tablets could be a good idea. Potable Aqua Tabs are also a popular option. 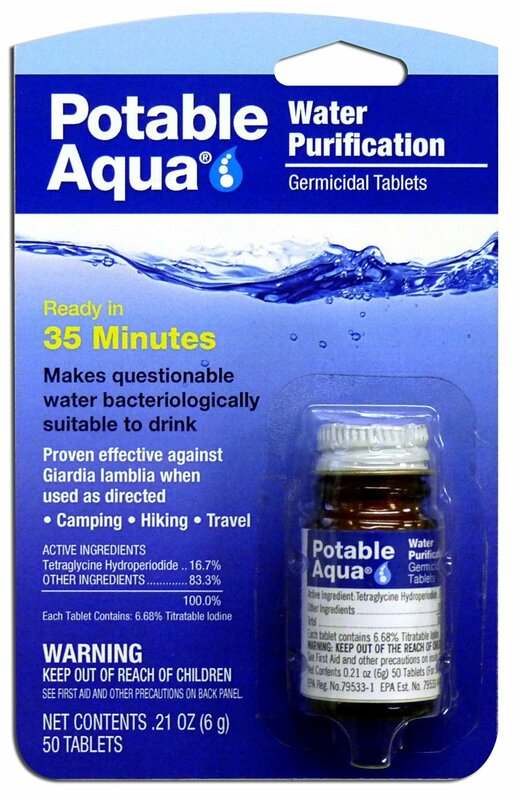 Both are 99% effective at removing pathogens, but the Potable Aqua tabs work in just 35 minutes. The only drawback is that they leave a heavy iodine flavor which is a turnoff for some (especially children who are more susceptible to dehydration quicker). They could also be unsafe for pregnant women or those allergic to shellfish. Filters are an easy option, as well. There are a couple of different types that are common. 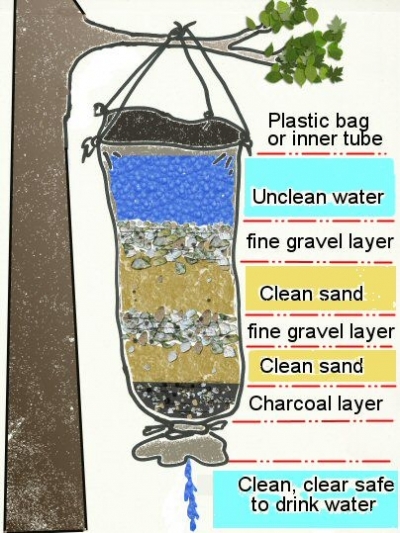 Worst case you can create your own water filter like illustrated above. There are pump action filters that use a pump to filter raw water through the filter. Then there are drip and suction filters that pull the water through the filter as needed, and they attach to bladder hoses for ease. 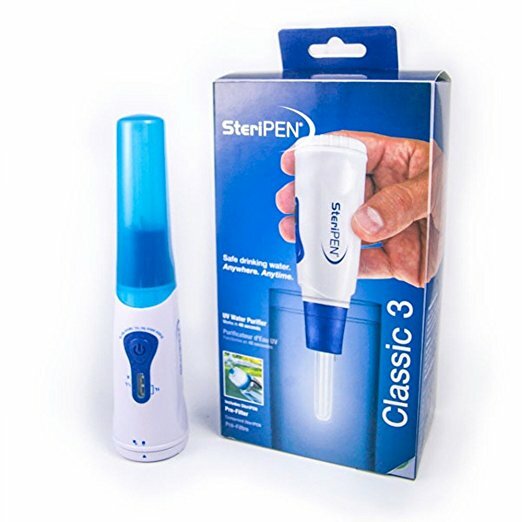 These Steripen filters are a popular filter option. They use batteries and a UV light that destroys 99.9% of bacteria, viruses, and protozoa. These would be a great option if you had a clear water source, but wanted to purify it anyway. They wouldn’t destroy anything lurking in water that had large particles in it, as they could hide inside and around the large particles. 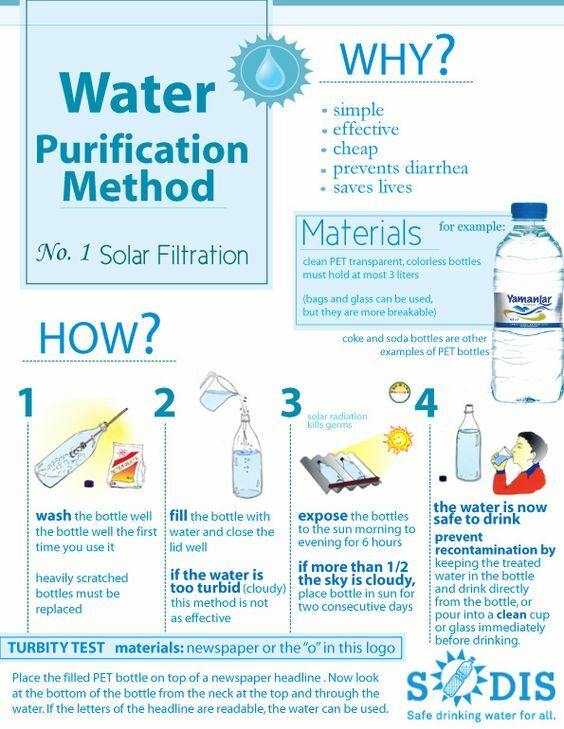 If you don’t have anything to purify your water, you can harness the power of the sun! You will need a water bottle that is not more than 3 liters. PET bottles are recommended, and without any scratches or wrappers. They need to be completely clear. If the water is cloudy, filter it first through a cloth or coffee filter. “If less than half of the sky is clouded over, 6 hours will be enough to completely disinfect the water. If it is raining, SODIS doesn’t really work, but then you can just collect rainwater. There are plenty of ways to purify water that make it safe for consumption. 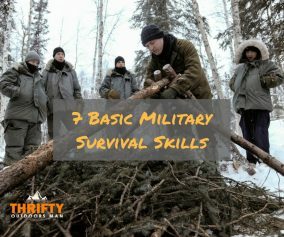 This is a survival skill that you don’t want to skip over. If you are on the brink of dying, you can drink the water raw, risking bowel-stirring pathogens to enter your body. But this is better than being pathogen-free and dead. 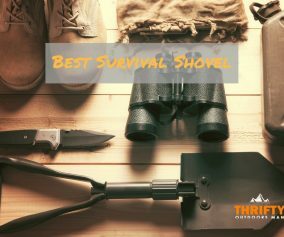 You just need to bring a few supplies with you and you can make safe drinking water in most any situation. 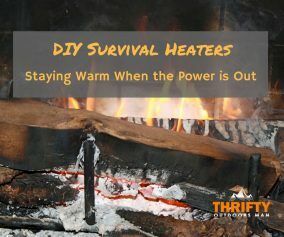 You can bring something to boil water in along with firestarter (which you should have with you anyway! ), water purification tablets, some household chemicals, water filters, or the good ole’ power of the sun. 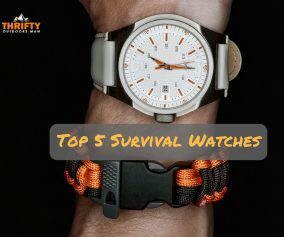 Whichever method you choose, it should provide you with safe drinking water and a longer life span in a survival situation. 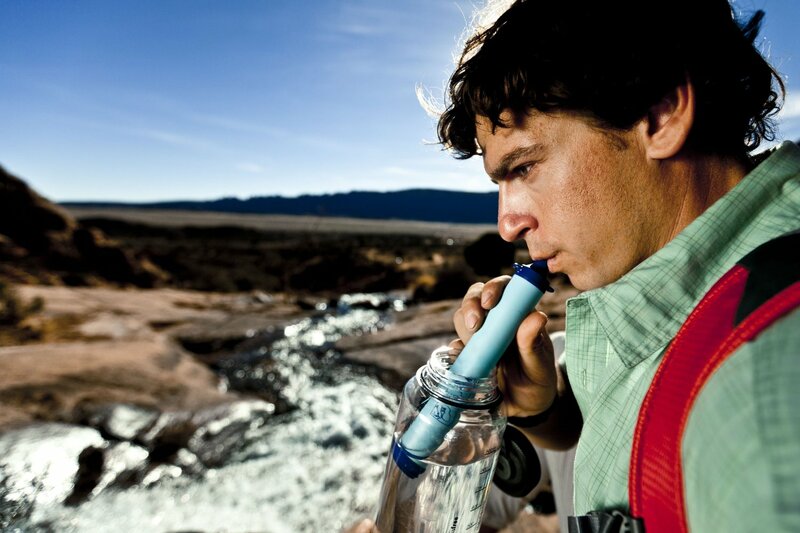 What are your favorite water purification methods? Let us know in the comments! Did you enjoy this guide? If so, please share it with your friends and family.